Vital land-raising work at Brough South is being carried out in such as a way as to minimise traffic disruption to residents and motorists in the town. 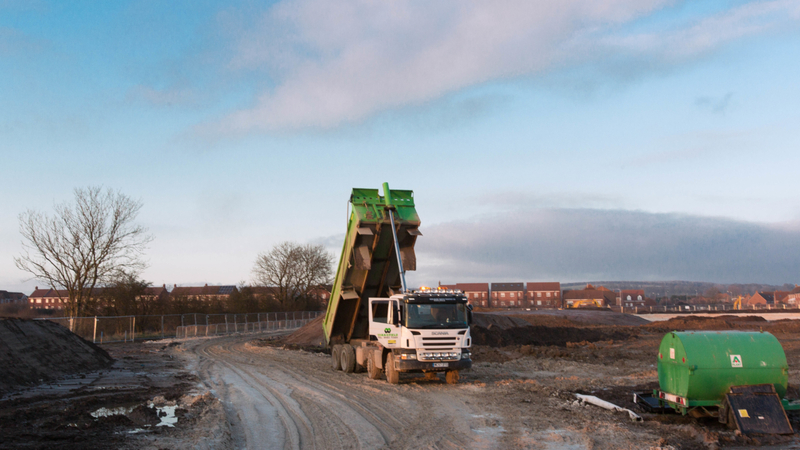 The vast majority of material used to raise the land has been recycled from excavations of the development site itself, removing the need to import materials which would have a detrimental effect on traffic flow. A small quantity of material will be imported from nearby Melton Park, however this unlikely to have any impact on traffic in Brough, Elloughton and Welton in peak times. Land raising is necessary to alleviate the risk of flooding at the Brough South development. The work, carried out by VHE Construction, will see the development site raised to a platform level of 6.33m above sea level, before building work can get underway. The work has commenced and is forecast to finished in June 2018. Brough South is a mixed-use residential, retail, leisure and commercial scheme being brought forward by the Horncastle Group PLC on behalf of the Brough South Consortium. Ian Hodges, managing director of the Horncastle Group PLC, said: “As a responsible developer, we’re keen to cause as little disruption as possible to residents and motorists in Brough.